Last year in June, 2011 YouTube made a new video player available which doesn’t contain YouTube logo in its player but still a small text which says “YouTube” do appear at the top-right corner on info bar in player when video is paused. You can also try to remove it using showinfo=0 parameter but YouTube will add its logo at bottom-right corner above controller. So if you want to completely hide YouTube branding from its player when you embed it on your blog or website then you can use popup method, generally it is used for watching videos in full browser size but it can also be used for embedding videos. We can embed it as we embed HTML5 player using iframe, to embed you just need to change VIDEO_ID with your YouTube video ID which you want to embed. When we embed videos using normal method we get lots of option to customize our video using some parameters but in this popup player you can use any parameter to customize the player. In case if you want then you can just use start video from specific time trick that also in a different way mention below. Using this player you won’t be able to find YouTube written in the player, not even in the right-click menu. 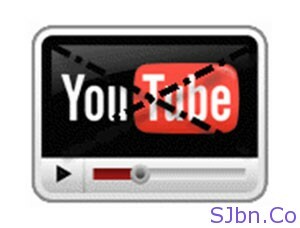 Note: – Embedding YouTube video using popup will start auto play, as soon as video player gets loaded video will start playing.